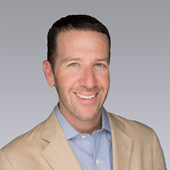 As Executive Managing Director | Retail Services, Jonathan D. Carter brings more than 15 years of experience and a diverse background and perspective to South Florida retail. He specializes in investment sales, landlord representation and tenant representation for the sale and leasing of urban retail properties associated with high pedestrian foot traffic and vertical environments, often with limited or structured parking. With experience representing a vast array of landlords and tenants in their leasing, sales and acquisitions efforts throughout South Florida, Mr. Carter is knowledgeable in many urban and suburban markets. Overseeing various landlord and tenant representation assignments, Mr. Carter leads the leasing and sale efforts for a number of high profile assignments including the 551 Lincoln Road Theater, 718 Lincoln Road, Aventura ParkSquare, Brickell Arch, 1111 Brickell and 1010 Brickell, along with a myriad of other urban and suburban properties in the high-rent districts of Miami-Dade and Broward Counties. He is one of the few leasing brokers with extensive experience leasing lifestyle centers in South Florida having completed multiple transactions in lifestyle venues located on Brickell, Lincoln Road, Collins Avenue, Ocean Drive, Sunset Harbor, Aventura, and South Miami, among others. Prior to his role as Managing Director of Retail Leasing at Comras Company, Mr. Carter was previously a member of the retail leasing team at Cushman & Wakefield after starting his career at Schottenstein Realty Company. Bachelor of Arts in Economics, American University. As Executive Managing Director | Retail Services, Dave Preston brings more than sixteen years of experience working in retail commercial real estate in South Florida, primarily representing major retailers, restaurants, and financial institutions on multi-unit rollouts, in addition to urban and suburban landlord representation, acquisition, disposition, investment sales, and development. Prior to joining Colliers International, Mr. Preston worked for eight years at Newmark Knight Frank, where he spearheaded South Florida’s retail leasing team. Previous to Newmark, he worked for six years in the leasing department of a leading regional commercial real estate firm, where he gained valuable experience in both landlord and tenant representation, responsible for leasing and overseeing over one million square feet of shopping center space early in his career. Over the course of his career, Mr. Preston has been responsible for retail lease and sale transactions totaling more than 425,000 square feet and valued in excess of $365 million. He has completed transactions for such current and past clients including Automotion, BankUnited (BKU), Benihana, Inc, (BNHN), City National Bank, EQ3, Franklin Templeton (BEN), Yolk, Anna's Linens, SportClips, Havertys (HVT), Orvis, Pieology, Banco Popular, BB&T (BBT), TA Realty and BVT. Mr. Preston is an active member of the International Council of Shopping Centers (ICSC) and is a past chairman of ICSC's Miami-Dade event planning committee. A Miami native, Mr. Preston received his bachelor's degree from the University of Florida. Jenny Gefen joined Colliers International in 2019 as Director | Retail Services in the firm's Miami-Brickell office, where she focuses on advisory services support for local and national tenants. Ms. Gefen specializes in new business development, site selection management and strategic real estate strategies, and she has deployed this expertise across multiple disciplines and geographic regions. Ms. Gefen has worked with a roster of marquis clients including Bolay, Checkers, Del Taco, Golftec, Jersey Mike’s, Pieology, Salata, Tapout and Yolk, to name a few. Besides assisting corporate clients, she has experience advising both private equity and high-growth companies in their expansions. Prior to joining Colliers, Ms. Gefen worked at Newmark Knight Frank and one of the top-producing teams at Cushman & Wakefield, representing Fortune 500 companies and other major users throughout the state of Florida. Ms. Gefen is a licensed real estate salesperson and an active member of the International Council of Shopping Centers (ICSC). Ms. Gefen has a Bachelor of Business Administration degree from Florida International University.